Sure, you’re always down to clown around but with Halloween right around the corner, we think you’re going to need to step up your game. Lucky for you, we would love to help and have just what you need. 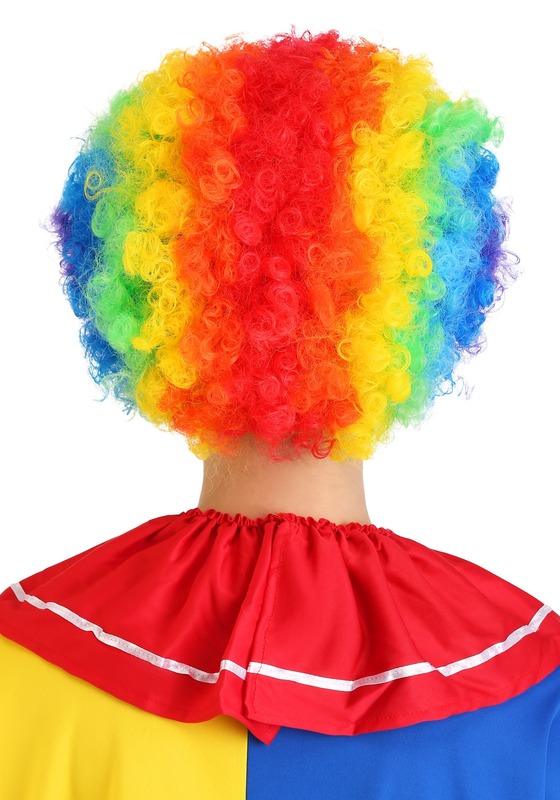 Check out this amazing Jumbo Rainbow Clown Wig! It will be an excellent way to start your circus transformation or the perfect finishing touch to a clown costume you already have planned. Everyone in the party scene will be glad to see that the circus stopped in town for Halloween once you make you grand entrance. 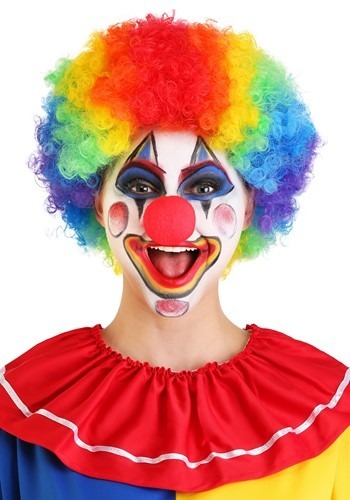 With this rainbow clown wig, you will be way ahead of any other clowns that you happen to run into, you’ll look like a professional while they’ll still look like they’re struggling through clown college. Out clown everybody this Halloween and grab a handful of our professional clown accessories. Get your hands on a bike horn, a water-squirting flower, and some awesome clown makeup, and you’ll be ready to entertain the masses!